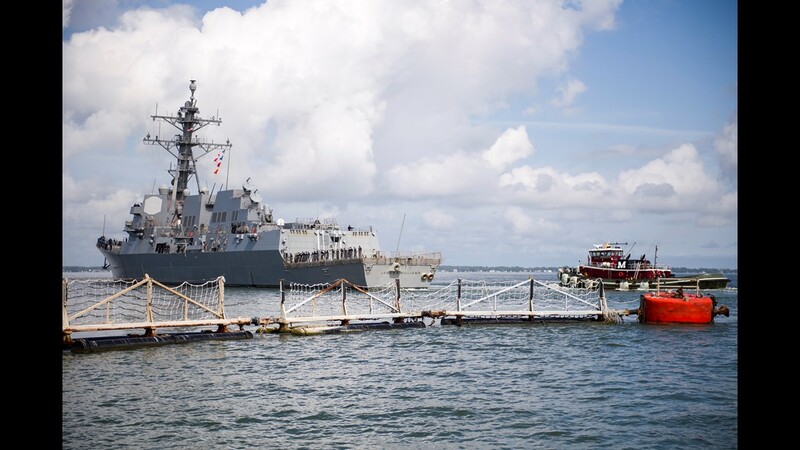 The guided-missile destroyer USS Gonzalez (DDG 66) departs Naval Station Norfolk ahead of Hurricane Florence, Sept. 10, 2018. 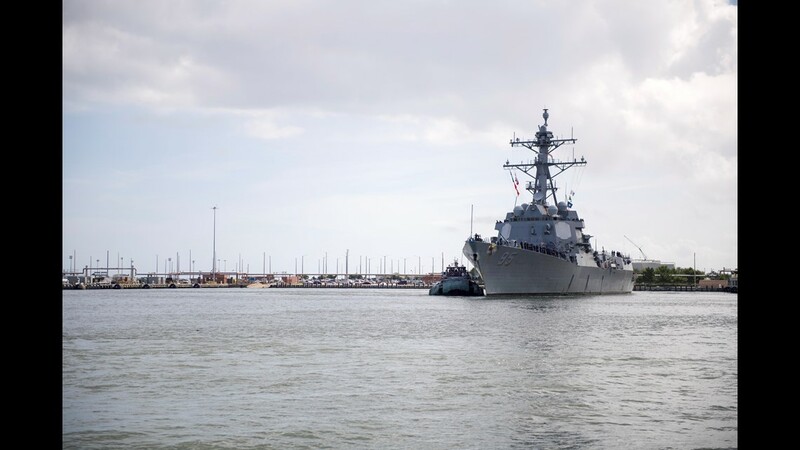 (Sept. 10, 2018) The guided-missile destroyer USS James E. Williams (DDG 95) departs Naval Station Norfolk after the announcement of Sortie Condition Alpha ahead of Hurricane Florence, Sept. 10, 2018. 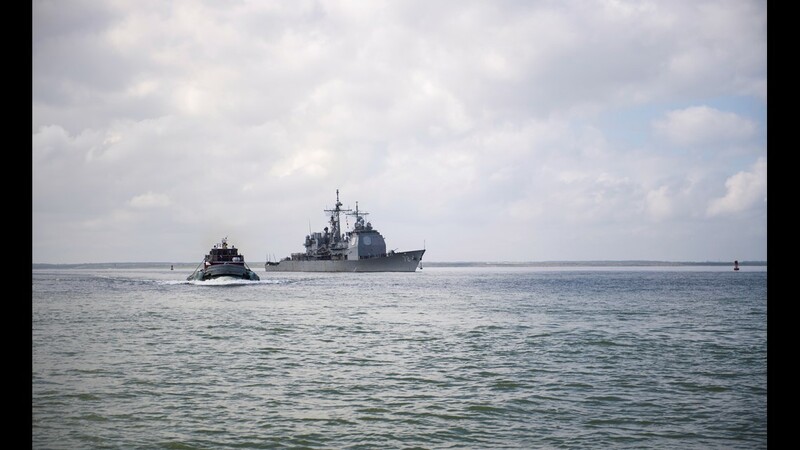 (Sept. 10, 2018) The guided-missile cruiser USS Vella Gulf (CG 72) departs Naval Station Norfolk after the announcement of Sortie Condition Alpha ahead of Hurricane Florence, Sept. 10, 2018. 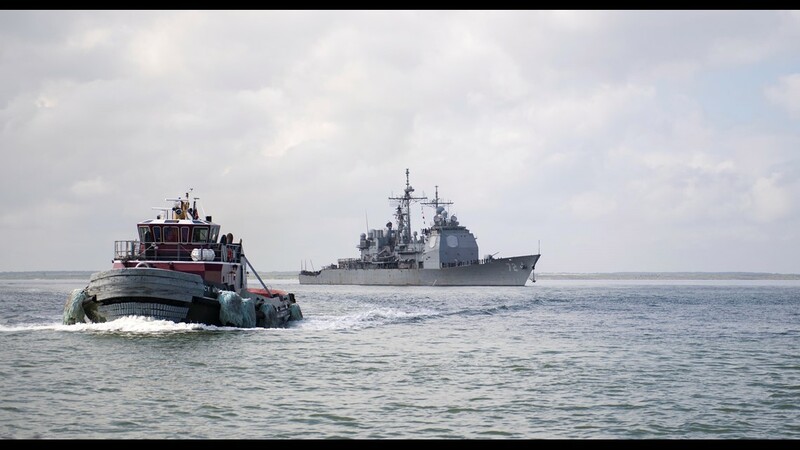 (Sept. 10, 2018) The guided-missile cruiser USS Leyte Gulf (CG 55) departs Naval Station Norfolk after the announcement of Sortie Condition Alpha ahead of Hurricane Florence, Sept. 10, 2018. 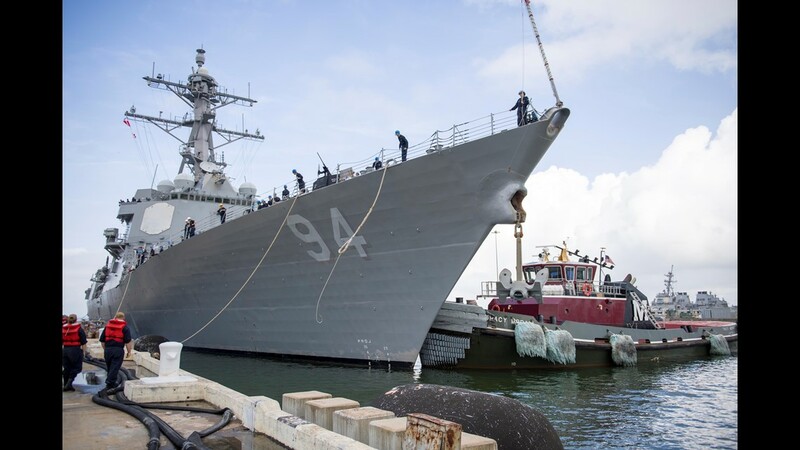 (Sept. 10, 2018) The guided-missile destroyer USS Nitze (DDG 94) departs Naval Station Norfolk after the announcement of Sortie Condition Alpha ahead of Hurricane Florence, Sept. 10, 2018. 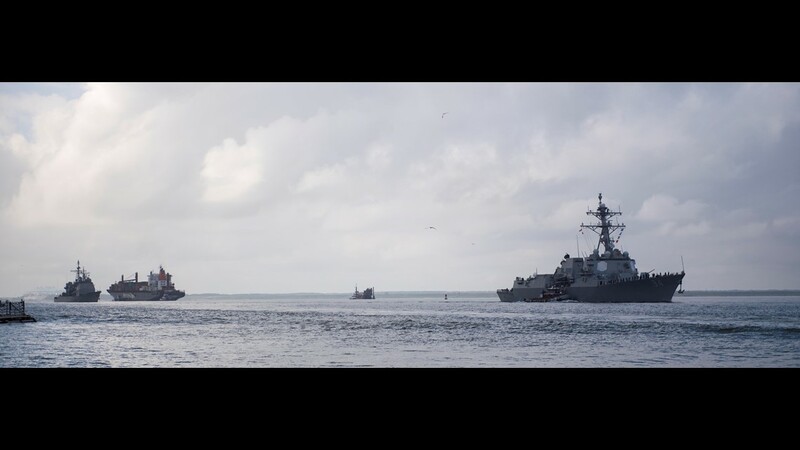 (Sept. 10, 2018) The guided-missile destroyer USS Nitze (DDG 94), front, and the guided-missile cruiser USS Leyte Gulf (CG 55) depart Naval Station Norfolk after the announcement of Sortie Condition Alpha ahead of Hurricane Florence, Sept. 10, 2018. 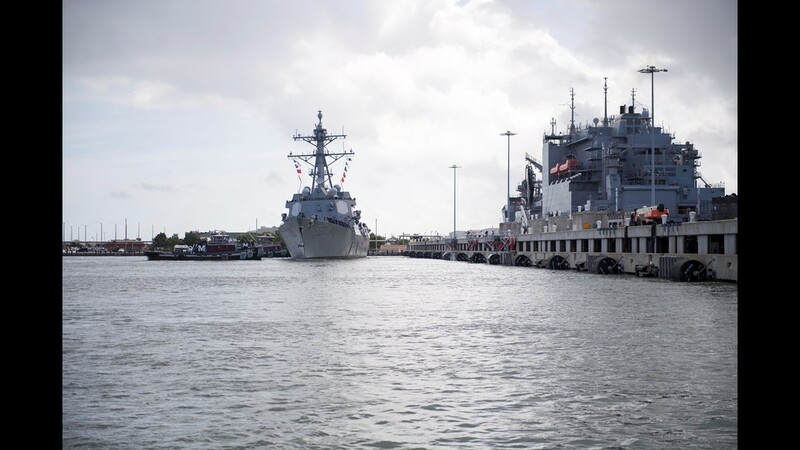 (Sept. 10, 2018) The guided-missile destroyer USS Gravely (DDG 107) departs Naval Station Norfolk after the announcement of Sortie Condition Alpha ahead of Hurricane Florence, Sept. 10, 2018. 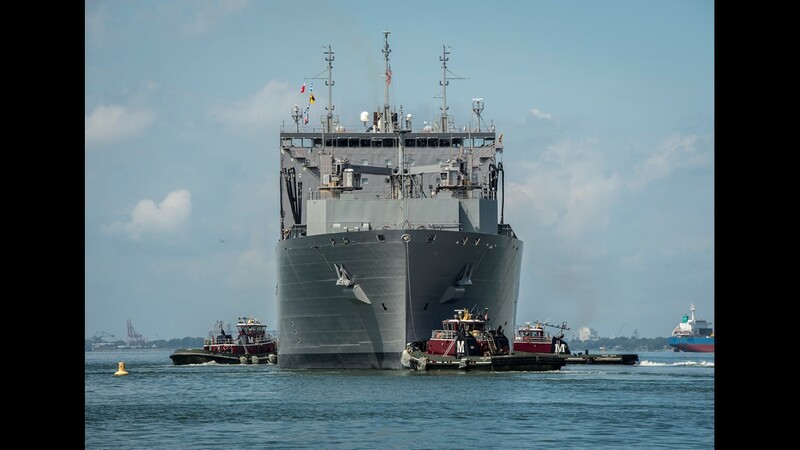 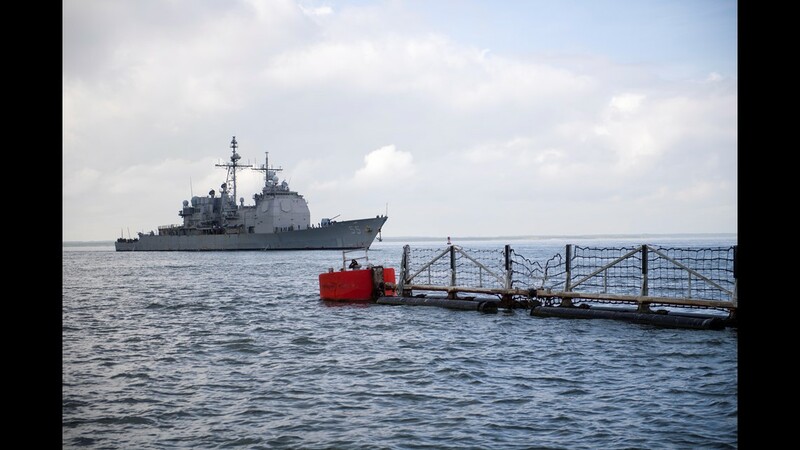 (Sept. 10, 2018) The Military Sealift Command dry cargo and ammunition ship USNS Lewis and Clark (T-AKE 2) departs Naval Station Norfolk in preparation for Hurricane Florence. 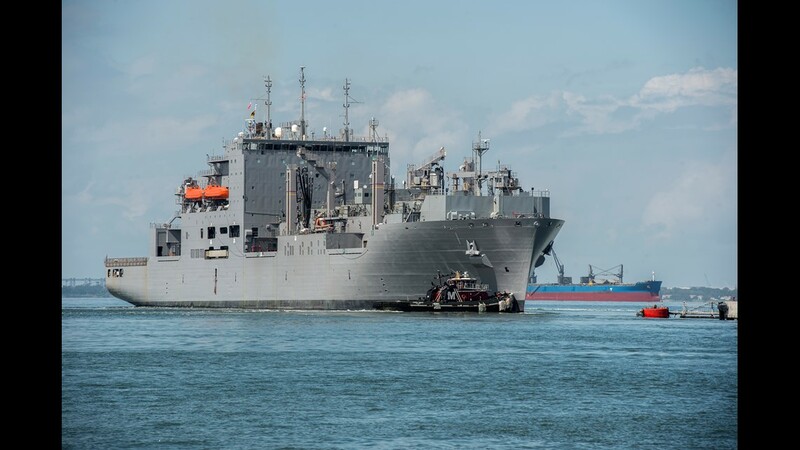 The Military Sealift Command dry cargo and ammunition ship USNS Lewis and Clark depart Naval Station Norfolk in preparation for Hurricane Florence. 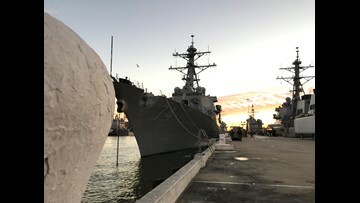 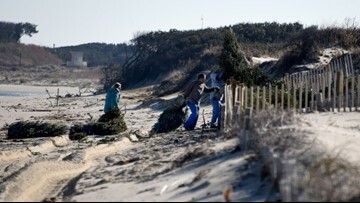 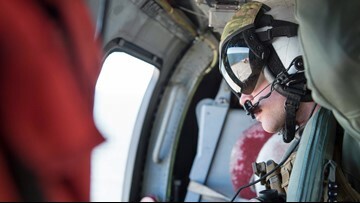 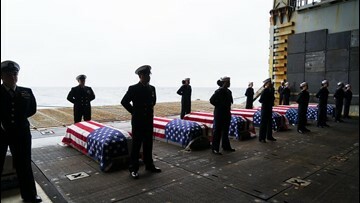 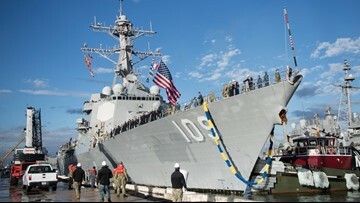 Commander, U.S. Fleet Forces Command ordered all Navy Ships in the Hampton Roads area to sortie. 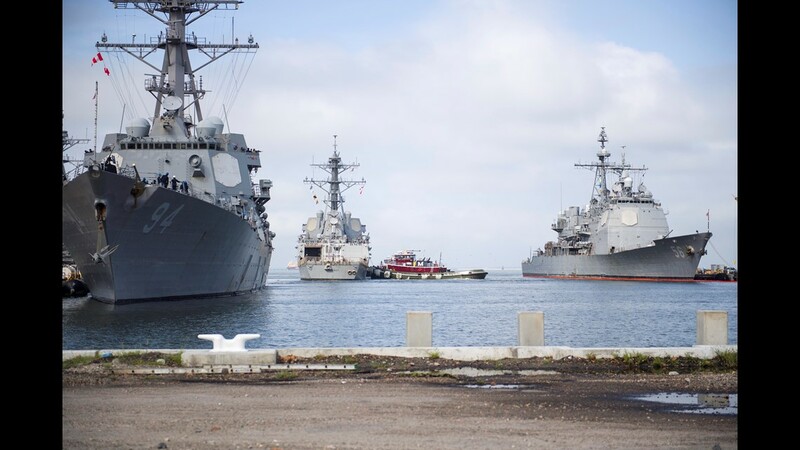 (Sept. 10, 2018) The guided-missile destroyer USS McFaul (DDG 74) departs Naval Station Norfolk in preparation for Hurricane Florence. 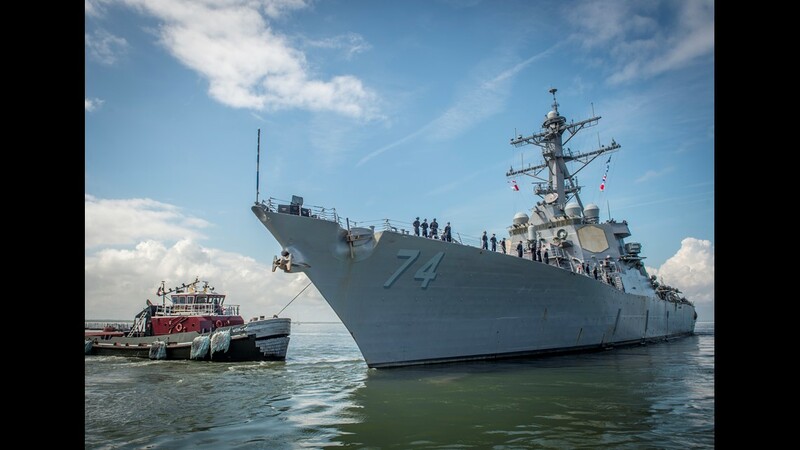 (Sept. 10, 2018) The guided-missile destroyer USS McFaul (DDG 74) departs Naval Station Norfolk in preparation for Hurricane Florence. 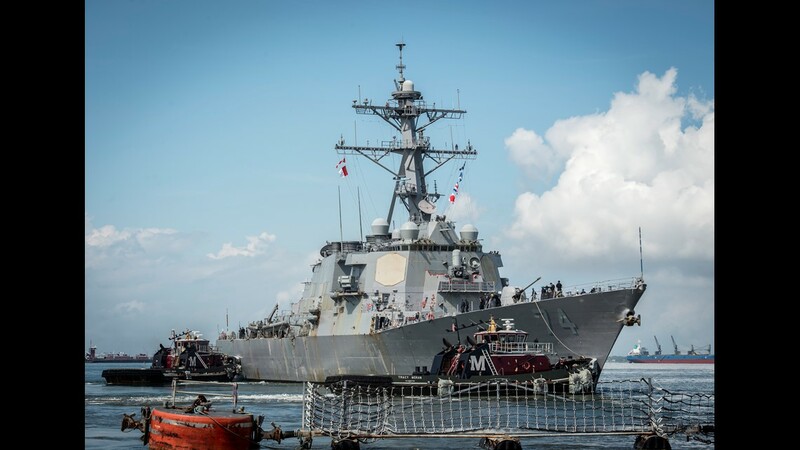 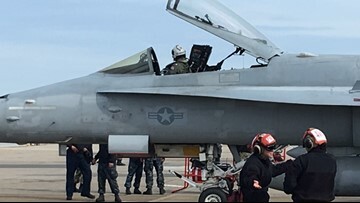 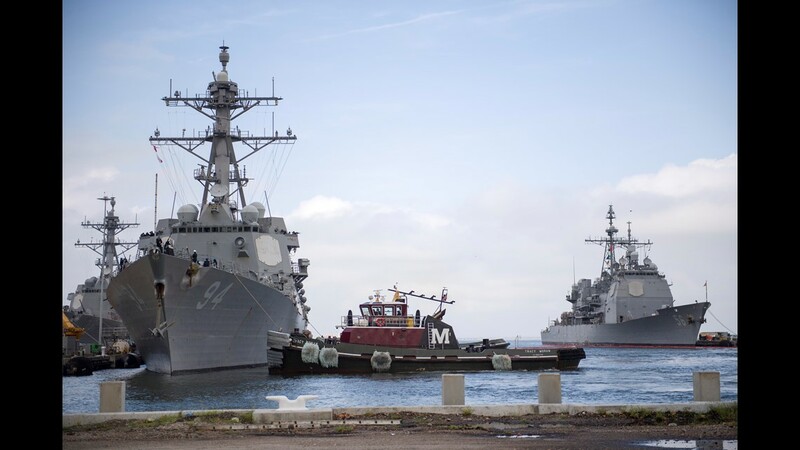 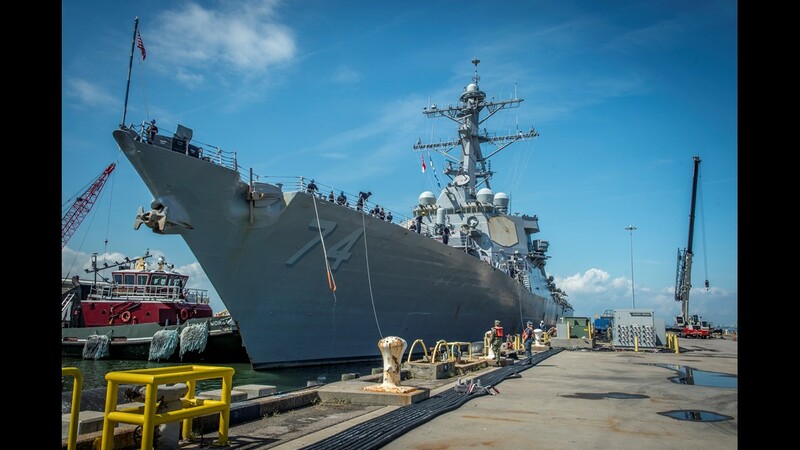 Commander, U.S. Fleet Forces Command ordered all Navy Ships in the Hampton Roads area to sortie on Sept. 10, 2018.